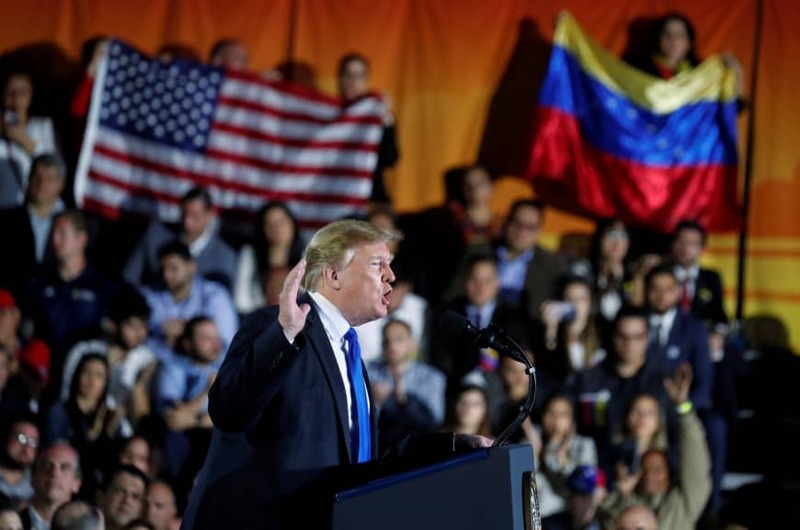 US President Donald Trump on Monday urged Venezuela’s military to accept opposition leader Juan Guaido’s amnesty offer, or stand to “lose everything,” as a crisis deepened over President Nicolas Maduro’s refusal to let in desperately needed humanitarian aid. Bringing in humanitarian aid is crucial to the viability of Guaido, who has denounced Maduro’s re-election last year as fraudulent and in January declared himself interim president, a move recognized by some 50 countries. “The eyes of the entire world are upon you today, every day and every day in the future. “You cannot hide from the choice that now confronts you. You can choose to accept president Guaido’s generous offer of amnesty to live your life in peace with your families and your countrymen. “On February 23, we have the opportunity to save the lives of hundreds of thousands of Venezuelans,” he said. Maduro countered with his own announcement of 300 tonnes of aid from Russia, which he said would reach Venezuela by Wednesday — three days ahead of a potential showdown brought about by his February 23 deadline.